A daring attempt to send a research vessel completely trapped in ice across the North Pole could lead to more accurate weather and climate forecasts, say scientists. Stranded and unable to move, the RV Polarstern will be carried by slowly flowing ice as the bitterly cold and constantly dark Arctic winter closes in. During the year-long 2,500km voyage, teams of scientists - protected from polar bears by armed guards - will take measurements and make observations that have never been possible before. The bold venture, called MOSAiC (Multidisciplinary drifting Observatory for the Study of Arctic Climate), echoes a famous polar expedition more than a century ago. While Nansen's goal was the Pole, the purpose of the 50 million euro MOSAiC expedition being undertaken in 2019 is purely scientific. Co-leader Professor Markus Rex, from the Alfred Wegener Institute in Potsdam, Germany, said: "The plan is to travel in summer when sea ice is thin and sea extent is much smaller. We can travel along the Siberian coast and then make our way with our ice-breaker to the Siberian sector of the Arctic. Then we just stop the engines and drift with the sea ice." 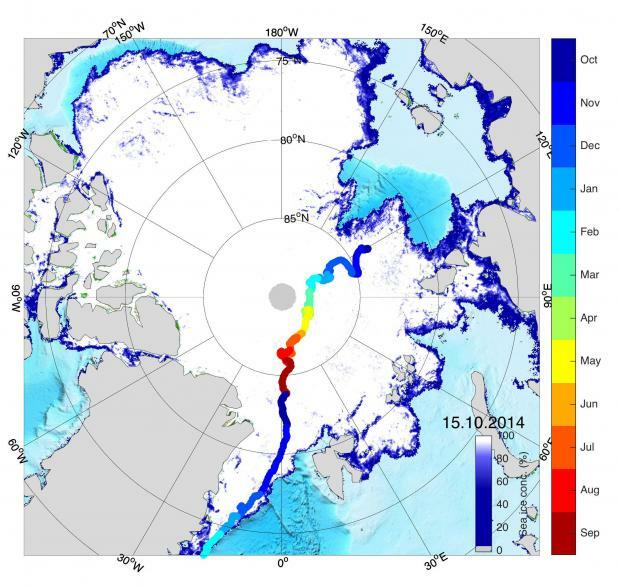 "As the season proceeds the sea ice will grow and by late November we'll sit in solid sea ice. It will get colder; the ice will grow in extent and thickness. By then we'll have set up a network of stations on the ice, some close and some 20 or 30km away. 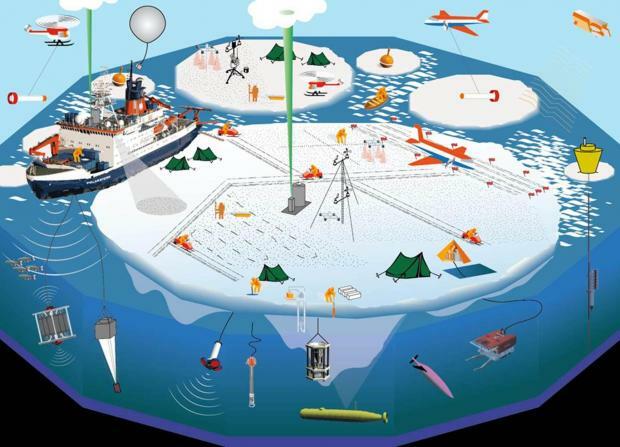 "We'll have a network of stations on the ice with a central observatory. The whole thing will drift across the Arctic. During winter it will be completely dark and we won't be able to move. We'll just passively drift across the polar cap until we reach the Fram Strait." What happens in the Arctic, where climate change is occurring faster than anywhere else on Earth, has a major impact on the weather in northern Europe and North America. Yet the forces at work are not well understood because gaining access to the region to carry out ground-based studies is so difficult. "There are many, many really small scale processes which affect the climate on a regional and global scale in the Arctic which we can't observe from a satellite," said Prof Rex." Recorded levels of Arctic sea ice show a much faster rate of decline than computer simulations predict. That suggests vital information is missing from the models, the professor pointed out. Strong warming in the Arctic affects weather in Northern Europe because it reduces the temperature contrast between low and high attitudes. This leads to lighter winds that meander instead of blowing in a more contained circular "zonal" pattern and "more frequent and cold air outbreaks from the Arctic", said Prof Rex.